A Geek Dad’s Diary entry on a trip with one of my very best buddies. A line is crossed when one drives a long way to play a golf course. Most of us have a course close by that is good enough to conveniently scratch the itch when it arises. Exerting the effort to road trip signals a focus shift from our own play to the experience of the playing field, which adds a dimension to the game. An even brighter line is crossed when one boards a plane, clubs in tow. My son Jack crossed that line for the first time this year on a trip to Aiken, SC, and I had the pleasure and privilege of being his partner in adventure. Our journey to South Carolina was circuitous to say the least. The original plan was to head to Chattanooga to check out The Course at Sewanee and Sweetens Cove. I was very much looking forward to watching Rob Collins’s creation melt the lad’s mind. Alas, nature and the TVA intervened, flooding the course a week before our visit. 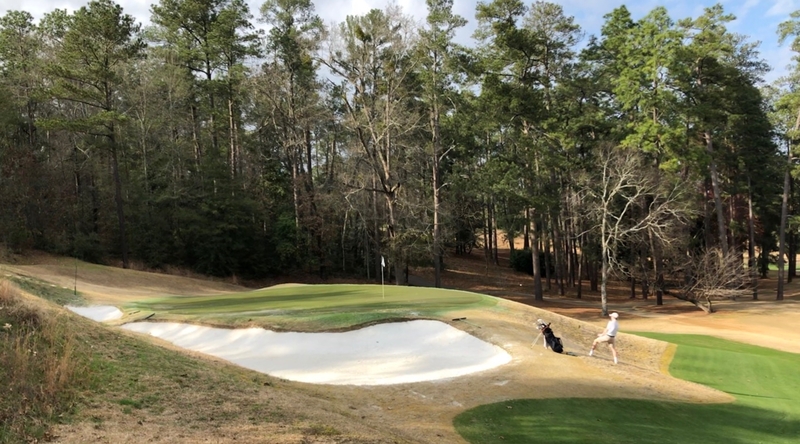 We audibled to Pinehurst, intending to play Mid Pines and Pine Needles, two courses that are high on my hit list. An ominous weather forecast and exorbitant flight prices rendered that option untenable. After exploring destinations from Arizona to Alabama, we finally found a flight into Atlanta and arranged rounds at Palmetto G.C. and Aiken G.C. I’ll go to great lengths to play golf, and even greater lengths to make my kids happy. Put the two together, and there was no way that I was going to let Jack down. Off we went. This diary entry is not about the courses, but a few brief impressions. 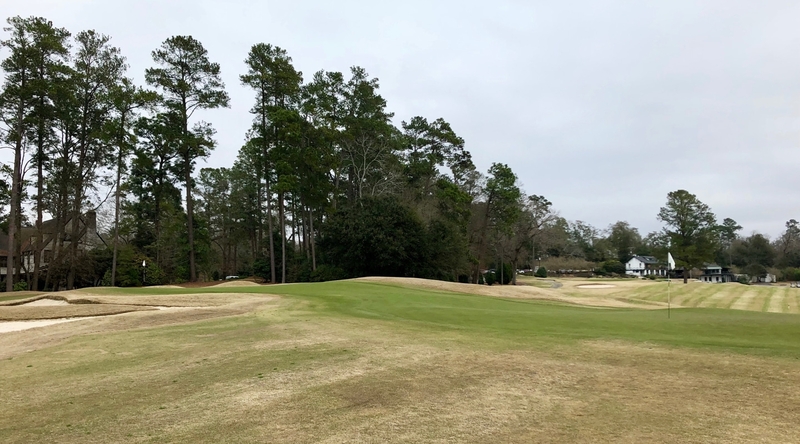 A visit to Palmetto Golf Club is like stepping back in time. The course was originally laid out by Herbert Leeds, who is also responsible for Myopia Hunt Club. The man knew how to design interesting golf holes. Dr. MacKenzie later enhanced the bunkering and greens, taking the course to new heights. It is one of those golf courses that I could happily play every day for the rest of my life. 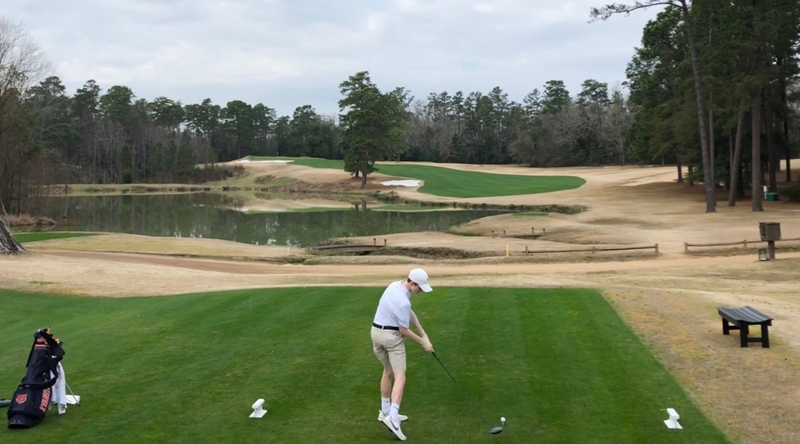 My feelings about Palmetto are even warmer, after watching Jack work his way around the course, taking in the architecture as his appreciation grows. 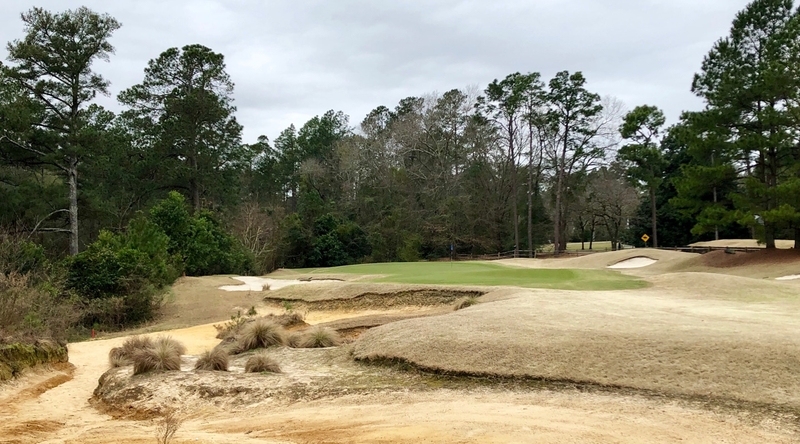 Aiken Golf Club is an entirely different experience, but one that blew us away equally. 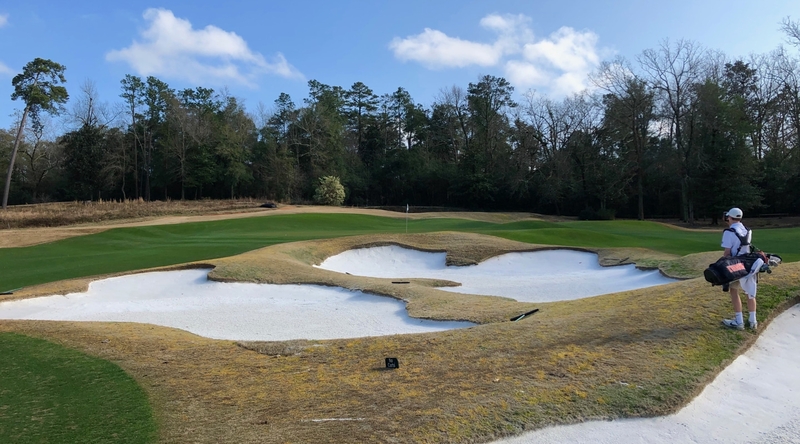 Owned by the McNair family, the course has received an in-house renovation over a period of years. The result is a meandering golf experience over beautiful property packed with variety, with each hole punctuated by a fun green. We were joined for our 36-hole day by my buddies Kevin Moore and Dave Zinkand, and it is an understatement to call the proceedings a geek fest. We were like four kids out there soaking in this affordable, publicly accessible gem. Our trip was about much more than golf though. I love Jack. He is a smart kid with a big heart who is growing into a really good young man. I know that he loves me too. We tell each other. I also know, however, that at 16 he is in a tough time in his life. Demands of school and activities are high, on top of the simple fact that coming of age ain’t easy. Jack is fortunate to have a posse of great friends, and it is no surprise that he would rather talk and spend time with them than his parents. My mom likes to remind me that I hardly spoke at home for two years during my early teens. To paraphrase a wise man*, it’s not what you’re like, but rather what you like that matters. Common interests bring us together and act as a gateway to connecting at deeper levels. I have experienced this progression with kindred golf spirits and members of the Canal Shores volunteer community, who I now count among my closest friends. And I am experiencing it with Jack as his love of the game blossoms. He might not feel like talking, but he is always up to talk golf. He might not want to hang with the family, but he is typically up for grabbing his clubs for a game. Whether it was on the course or on the couch on Masters Sunday, I stayed connected to my dad through golf. The game is playing the same role for me with Jack. While driving around Augusta looking for food and the entrance gate to ANGC, we explored another shared interest – hip hop. We took turns sharing old and new school favorites and both ended up a little more enlightened about music, and each other. For fun, and to memorialize our adventure, we collaborated on a Spotify playlist, which we now share with you. With every passing year, my gratitude for the game of golf increases. Personally, it provides endless challenge and enjoyment. Interpersonally, it delivers consistently great people into my life while making my world bigger. Most importantly, it gives me a connection to my sons that will hopefully endure as they grow into their own lives. Our first buddies trip is successfully in the books. Many more to come. 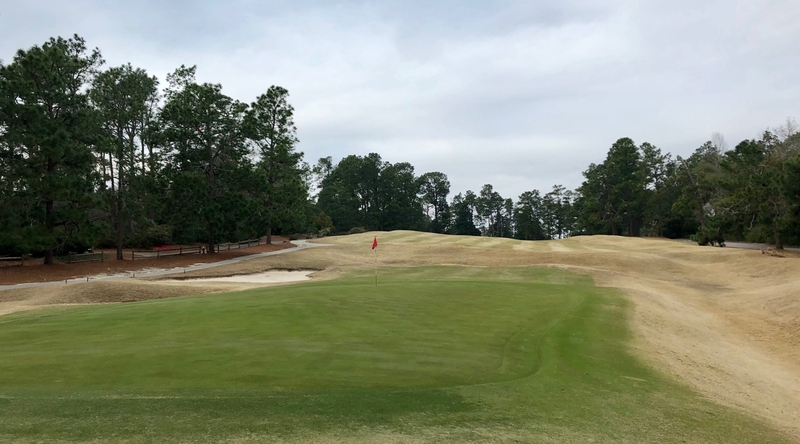 Categories: golf, golf course architecture, golf courses | Tags: aiken golf club, geek dad's diary, geekedongolf, golf course architecture, golf travel, jason way, palmetto golf club | Permalink.